These handy floor joist span charts will give a quick general reference only to the allowable span of the following U.S. species mixes. Douglas Fir & Larch, Hemlock & Fir, Southern Yellow Pine. 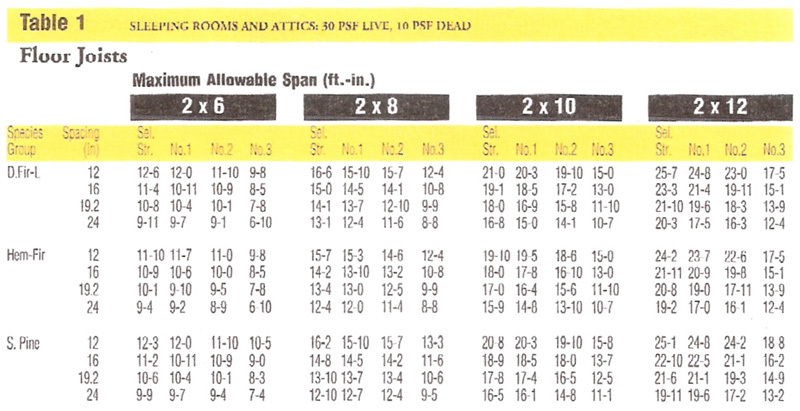 Each chart is based on a different weight loading. 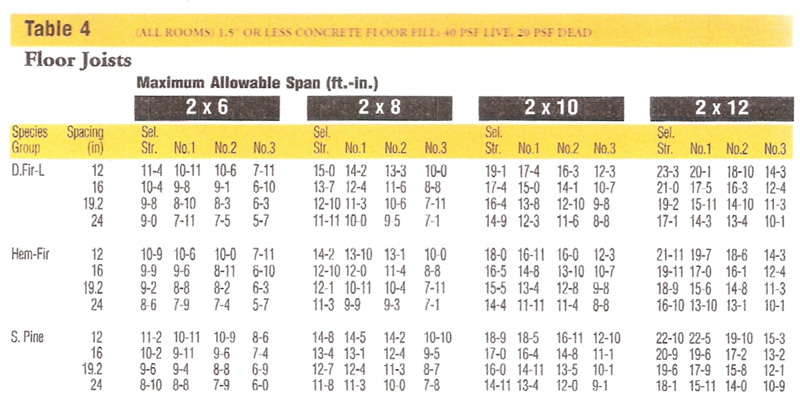 These weight loadings are the live Load in pounds per square foot (Live Load refers to a load that can vary, furniture, people, movable objects) and a Dead Load in pounds per square foot (Dead Load refers to fixed material weights, joist material, flooring, any part of the structure or permanent fixtures) These different charts reference a particular type of design and weight loading. 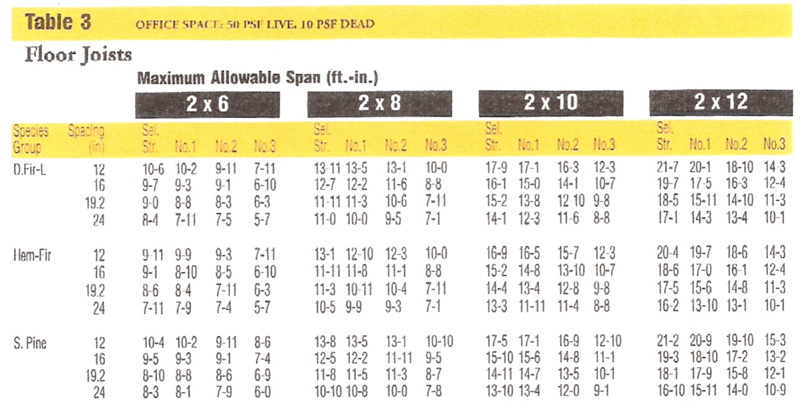 These span charts are made available as a quick reference only. We advise you to confirm proper engineering for your particular project with a certified local engineer. This website makes no claim as to the accuracy of these span charts and will not be held liable for any use of this information.